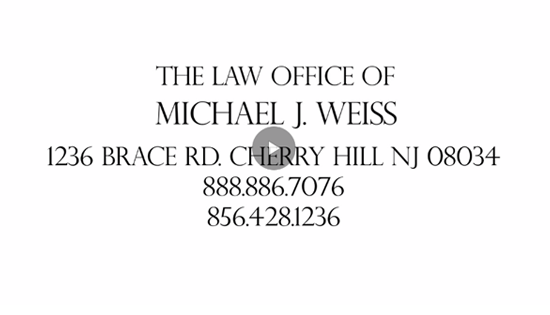 The Law Office of Michael J. Weiss is a personal injury firm dedicated to representing victims who have wrongfully suffered injury or death in New Jersey and Pennsylvania through doctor malpractice, physician malpractice, or nurse malpractice. Our vigorous pursuit of their malpractice legal rights has enabled us to obtain a number of jury verdicts and jury settlements in excess of one million dollars in medical malpractice cases. We are here to get our clients the justice they deserve. Call or email our medical malpractice law office for a free consultation if you or a family member have been affected by a medical professional. Meet with us where and when it’s most convenient for you—our malpractice law firm, your home or hospital room, or another location. We are available weeknights and weekends, by appointment.